Architectural engineering and intelligent design can both integrate into a property, and transform architecture into art. One of the main features within a property that often gets overlooked, but when given attention can transform even the most standard of homes into one to be desired – is the staircase. 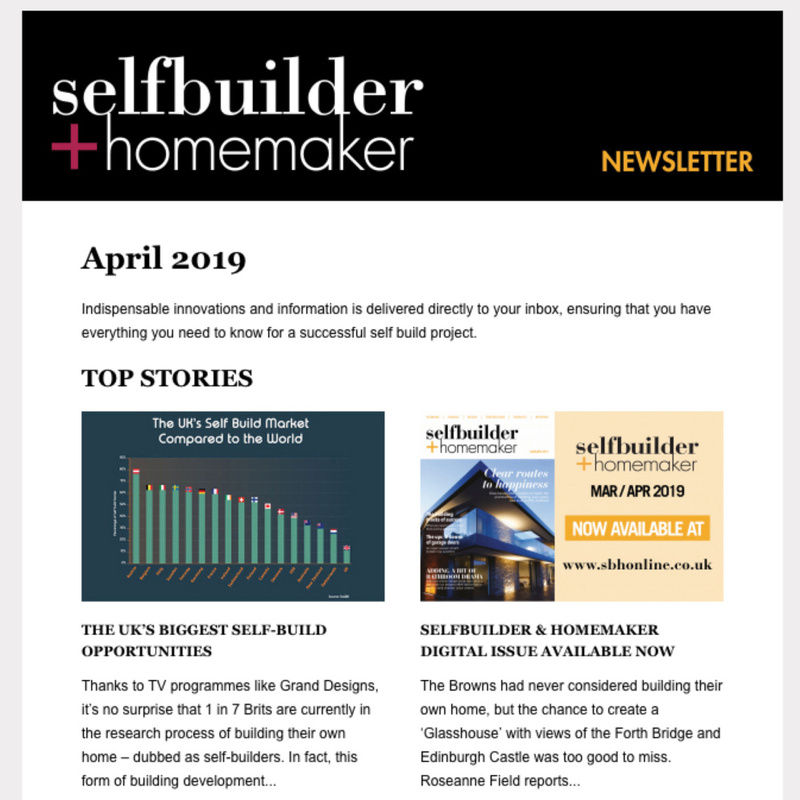 Over recent years, one staircase design has emerged and grown rapidly in popularity among architects, designers, developers and home owners, and provides a spectacular architectural art form; The ‘Floating’ Cantilever Staircase. The term cantilever might sound elaborate, but it is merely describing the construction of the staircase structure. Having steel channels anchored at only one end allows the protruding construction to overhang without any external bracing or support, creates a unique floating appearance that is extremely aesthetically pleasing. 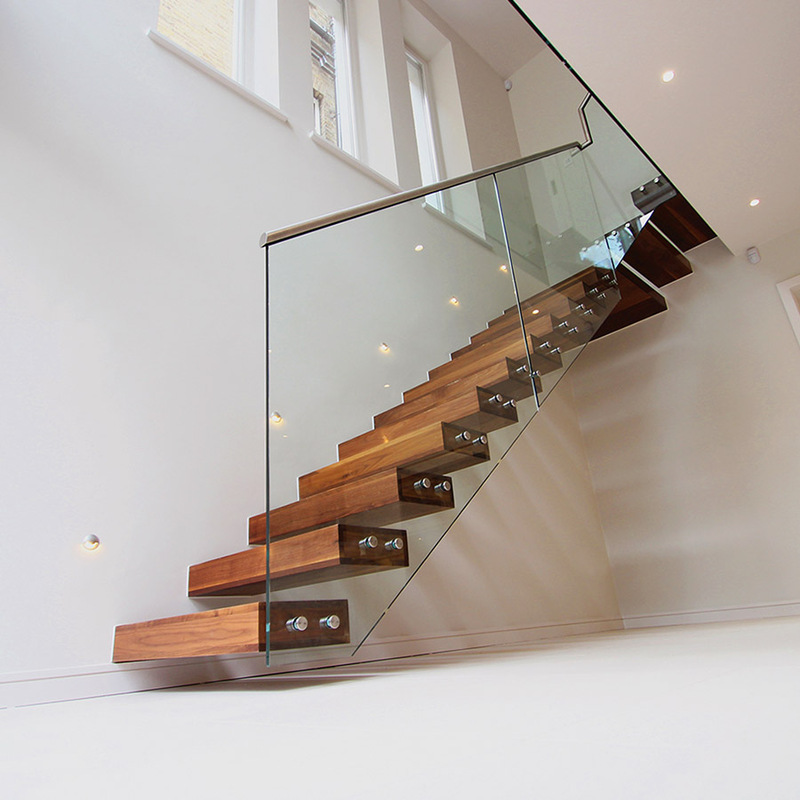 The floating cantilever staircase is incredibly reliant on its structure, which is fixed to the wall of a property. 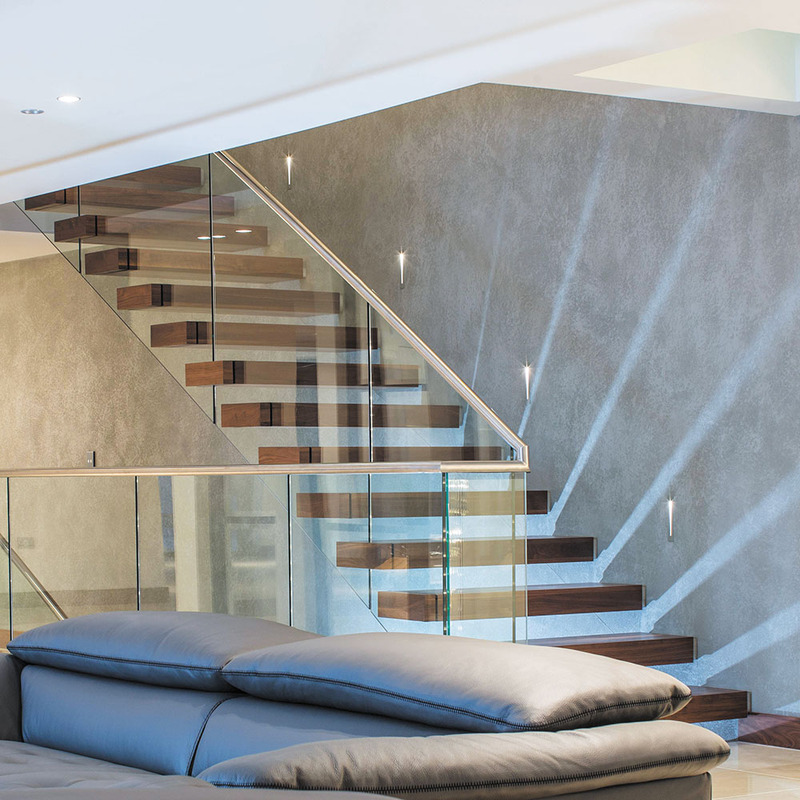 At Canal Architectural, we are able to provide multiple installation options for the cantilever staircase to cater for the variety of wall structures that are used today to build a property; new or existing. 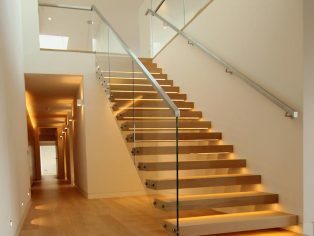 The structure of the staircase is not restricted to the common straight flight design. The versatility of the cantilever stair means it can be designed in straight, curved, helical, quarter turn and half turn styles. Along with most architectural projects, the choice of materials for the cantilever staircase are near infinite. 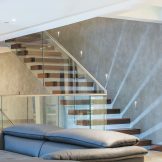 Choosing materials for your staircase can be broken down into the individual elements; treads or steps, risers or no risers, balustrade, handrail or no handrail, fixings and other bespoke detailing. 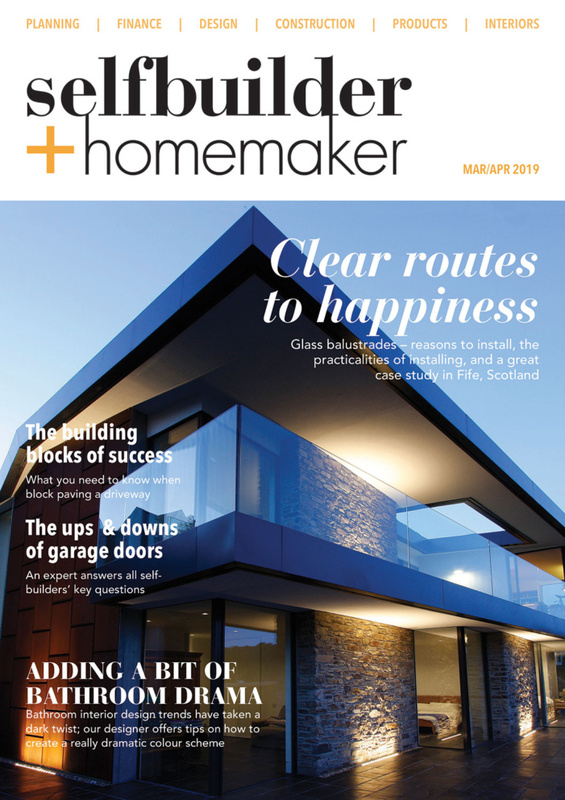 A popular contemporary material selection combines solid timber, glass and stainless steel, which produces a very high end finished look and feel. In particular, the modern approach to using glass within a property opens up the space allowing light to travel around the staircase and throughout the room. Achieving the correct performance of this particular staircase design is about more than its aesthetics. With various technical components and design elements to consider, it is imperative that specifiers select the right manufacturer, supplier and installer. With the necessary experience and expertise, Canal Architectural is able to do just that. 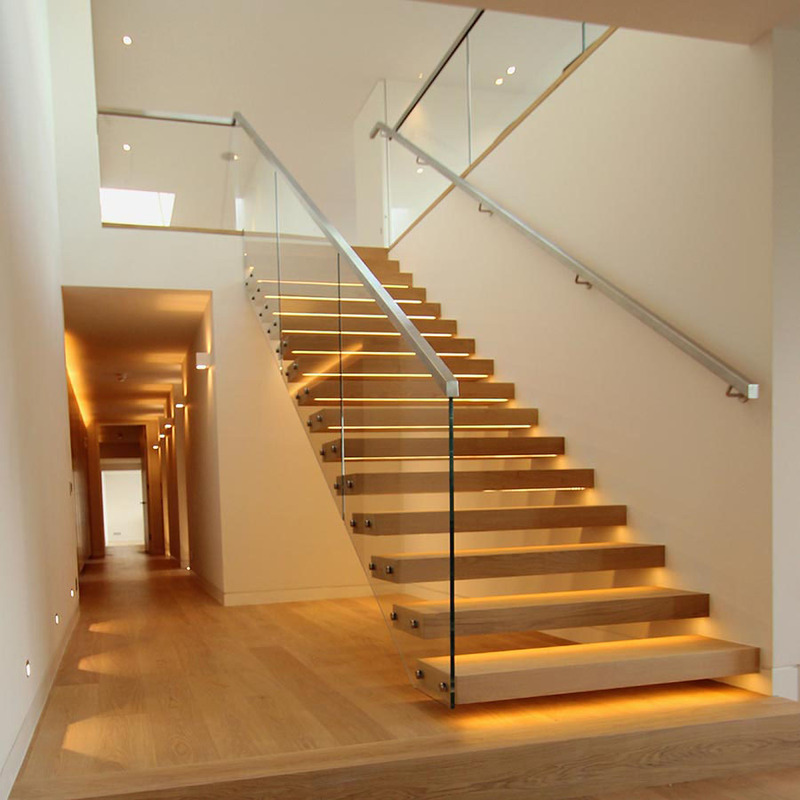 We believe it is invaluable to complete a staircase project successfully and to a high standard, as in time this will determine its performance, durability and overall appearance.